Hi again, today I want to share a project I just finished. It's a wall decoration for my son's nursery corner. 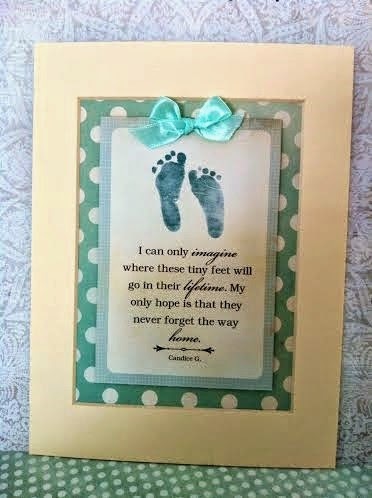 I wanted to make him something pretty so he can look at when he is in his crib. 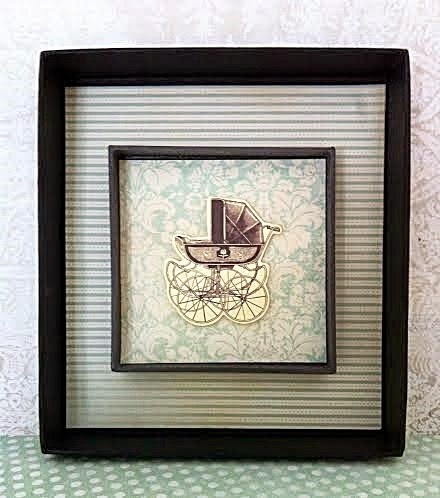 I've decided to make those 2 shadow boxes and a frame with sentiment. The box I used is a recycled box from something my partner got in the mail (he kept this box for me). 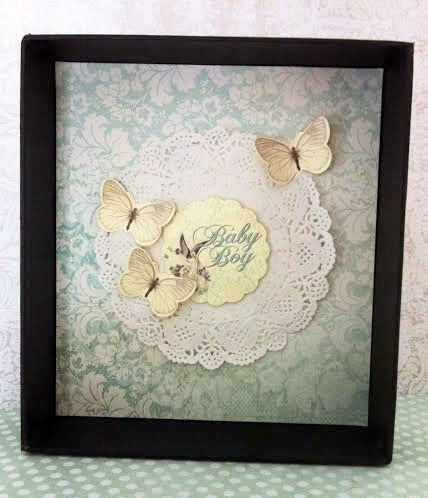 The papers and collectables come from"Bundle of joy" collection by KaiserCraft. The creme frame is very old and I got it at the local paper store. 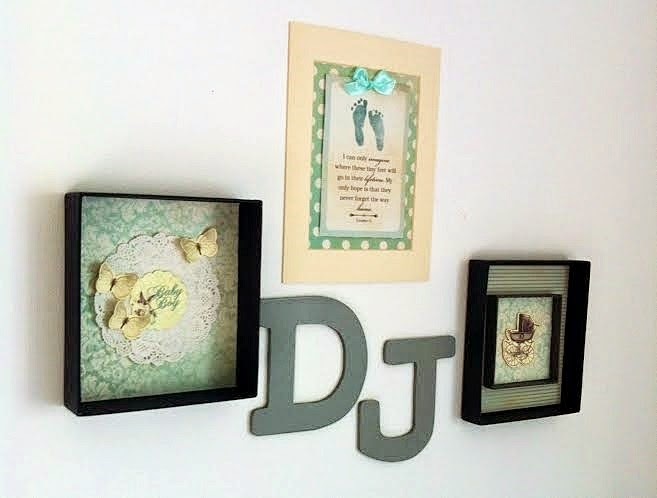 I also used paper lace doily from "Tea Party" by Dovercraft. The letters we bought at a baby store here in our town. My son loves his new decoration! oh wow, this is precious, great job!